Ivory Dental was founded by Dr. Shefali Patel as part of a joint medical/dental clinic in Plainfield, IL. She and her husband, Dr. Kalpesh Patel (Advanced Integrative Medicine), opened their clinic in August of 2005 in Plainfield, IL. Dr. Shefali Patel received her undergraduate degree from the University of Illinois Urbana-Champaign. She continued her post-graduate education at the University of Illinois at Chicago College of Dentistry to earn her Doctor of Dental Surgery degree. As a Plainfield Resident, Dr. Patel is an active member of the community. Her philosophy has always centered around the belief that every patient deserves the highest quality of care and it should be customized to focus on the priorities of each patient. Dr. Patel stays on top of the latest advances in dental technology and provides those innovations in her office. From aromatherapy to reduce anxiety to same day crowns, Dr. Patel truly believes that every patient should receive exceptional dental care with a modern approach. Your smile says a lot about who you are. 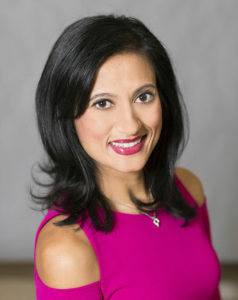 Whether you need a simple cleaning or a complete smile makeover, Dr. Shefali Patel and her associates will help you create an individualized treatment plan for a beautiful, long-lasting smile. 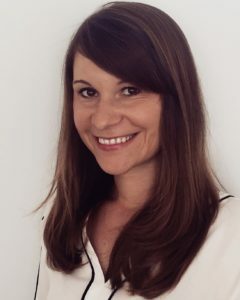 Dr. DeMonte earned her Bachelors of Arts degree from New York University College of Arts and Science, followed by a Doctor of Dental Surgery degree from New York University College of Dentistry. She went on to complete a General Practice Residency at Lutheran Medical Center in Brooklyn, NY. Dr. DeMonte’s training at a Level 1 trauma hospital has given her extensive experience on how to effectively manage emergencies and treat medically complex patients. 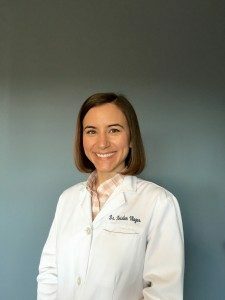 Dr. Kristen Vlagos joined our practice in 2016, and we’re delighted welcome her to the Ivory Dental team! Dr. Vlagos was drawn to dentistry for its technical challenges and the opportunity to improve the quality of her patients’ oral health. Dr. Vlagos graduated from the University of Illinois at Urbana-Champaign with a Bachelor’s degree in Molecular and Cellular Biology. She earned a Doctor of Dental Surgery degree from the University of Illinois at Chicago, where she was named to the Omicron Kappa Upsilon honor society. Dr. Vlagos went on to complete a three year residency specializing in implant and reconstructive dentistry, earning a certificate in prosthodontics and a Master of Oral Science degree from the University of Illinois at Chicago. She enjoys working with patients of all ages and needs, and she specializes in implants, dentures, bridges and crowns. Dr. Vlagos is also an associate clinical professor at UIC. She is a native of Downers Grove, Illinois and enjoys spending time with her husband and pets. Hammad Khan was born and raised in the Chicagoland area. He earned his undergraduate degree from the University of Illinois at Urbana-Champaign and went on to earn his Doctor of Dental Surgery from the University of Illinois at Chicago. He practiced general dentistry for 8 years, during which he took extensive continuing education in the field of Endodontics. He then returned to the University of Illinois at Chicago and completed a specialty program in Endodontics while earning a Masters degree in Oral Sciences. 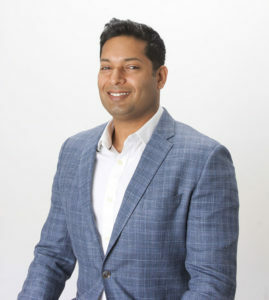 We’re delighted to have Dr. Khan as a member of our team!